Thank you for the forum and for letting my crazy join your forum lol! I’ll have lots of off the wall questions, but i’ll also help anyone i can. Thank you to all BLF MEMBERS!!! I’ve been learning from you peeps and stealing your ideas from behind the scenes for years lol!!! One flew east, one flew west, one flew over BLF nest! Welcome my friend! 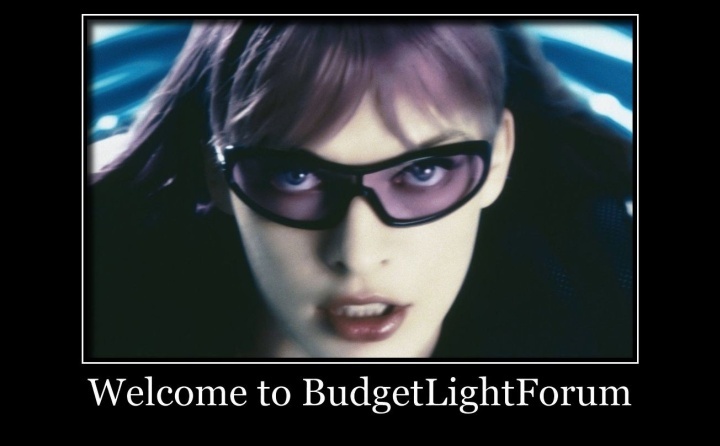 Welcome Mate, BLF is an awesome forum! you will fit in well with us. Hopefully i wont drive you mad but seeing some of the posts here over the years ya’ll seem pretty tolerant of ignorance lol!! Im into a ton of different things (pretty much everything lol) and sometimes its hard to do ALL the research on ALL the stuff and still have time to actually figure out how to do what you want if modding or if a product is out there that is already perfect (very rare) for the task which usually becomes a host for future modding anyway lol. That why im here. Im a sparky but have little experience with electronics, i can hook up the factory and service the machines that makes the pcb’s but i wouldnt be able to make a pcb to save my life lol. So i recognize the terminology but gotta find where the tail meets the head on powerbanks, usb ports, charging circuitry and the other electronic stuff im trying to learn about, yes, including flashlights! Hi and welcome to the poor house GRAY. Hope all you guys happy! Now it’s 10：49 am in Beijing。 You are in the evening,right? MRsDNF- This house is definitely not poor in knowledge or hospitality friend, and thats the true true! Yeah most of them are very professional .. .
Have a pleasant time at this friendly forum, GRAY LITNIN! I like that: Professional Flashlight Players. It has a nice contradiction in it. Indeed, it is grand!!! Im no collector or “PFP” by any means but do appreciate those who are. You guys keep the demand up so i can buy my lights cheaper lololol!!! I cant wait until someone asks what my occupation is and i tell them im a “PFP”!!! Awesome sauce!!! Its much better than using “im a flashaholic”, they might not be thinking of lights lol. Thanks for the kind welcome. JSYK, I have many great memories playing Resident Evil (and sequels) as a young’un, the first time i ever “jumped” because of a game is when the crows burst through the window lol. Rock On!!! I love me some RE! The first video game to actually scare me was the original. The older games don't hold up that well, but RE7 was pretty darn good. I got to play RE2 before the original, so it didnt get the chance for “first jump”, i played most of them till RE4, then got busy with life and my gaming went to the wayside. Wish i had time to play more, RE7 does look great!! Only time i ever turned the game music off and made sure the lights were on was the original Silent Hill. CREEPY!! I also want to know about the foreign players ,what do you like and what’s the difference between us! Flashaholic is correct!!! Im sure we have alot of similarities as well as some differences. I can not speak for everybody but most (including me) do love the outdoors, and can’t wait to try a new light out in the largest expanse we can find. I like other outdoor activities as well:Dirtbikes and 4-wheelers, fishing, bushcrafting, camping, hiking, hunting, shooting guns (there’s a big difference lol)! As far as flashlights, I use flashlights alot but I depend on them as a tool. I like alot of other tools and gear so im more of a toolaholic or gearaholic. So im no good representation of a true US FLASHLIGHT PLAYER type, not any type really, im pretty far out there (wild/crazy). Lol true, that or those matrix guys lol. Thanks for the recommend, also it was “raccoon” that mentioned RE. Don’t want Steve confused lol! CN is winter now ，I live in Nanjing。The temperature now is about 2 to 11degrees，But it’s not the coldest moment yet. January is the coldest time in our country，It’s about -10℃ in my home。so not too clod。I know your coldest place is Alaska，right? M82A1 is an awesome gun! Friend had one (not sure if he still does) and that thing is heavy!! It is fun to shoot a bullet that big though! Costs ~$4 a shot! Thanks for supporting American made! We really like Chinese flashlights too!!! I have quite a bit of Nitecore stuff! I think surefire makes a great flashlight but i personally can never be loyal to any one brand. Lots of brands are just as good as the others but its my belief that anything man-made can fail at any time. So i have to hear good reports and for it to be out awhile and field tested before i’ll buy anything, then its still not 100% till i take it apart, check it out and use it myself for awhile. But thats just me. That said Surefire is often included in american flashlight users favorite brands. But most TRUE flashaholics consider custom-made lights to be the “graduate light”! Either built by themselves or a custom seller. Sorry, i’m not on WeChat, and i don’t know what apps America uses to chat because i’m not on any of that either lol. Alot of people use Facebook (dont have it lol). GRAY is more than a color in America! I like to learn how to build things and make them work. If a you build a flashlight by yourself then you not only know how to fix it but can build it better or more suited to you for a better price. Can also make them tougher so it doesn’t break in the first place! Sad no Youtube or guns!!! It’s cool that we all like alot of the same stuff though!! I guess you’re snoozing now lol! !